I tend to be a task-oriented person. I like to have a plan for each day or at least a list of things I hope to accomplish. For some people, the perfect Saturday involves waking up late and then “going with the flow.” To me, that sounds like the worst Saturday ever. Days like that feel wasted to me. At night as I brush my teeth, getting ready for bed, I like to summon up three or four (or fourteen) tasks I’ve accomplished that day. My tasks can be menial and still be meaningful. Whether I’ve done something small (like cleaning out a drawer) or something monumental (like creating a new workshop), I’m happy as long as I’ve gotten something done. One of my favorite somethings is to plan and go on trips. This year I added four new stamps to my little blue book, a.k.a. my passport. Travel speaks to my task-oriented tendencies because there are a series of to-do’s in choosing a destination, planning a trip, getting there, and getting back home. 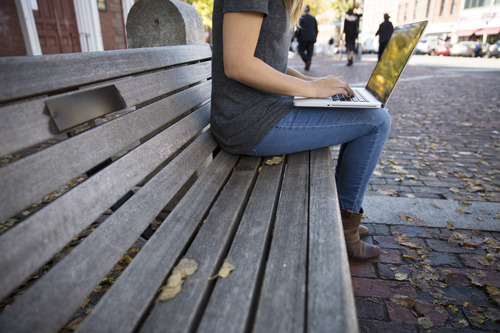 Of course, travel is more than a to-do list. In fact, reflecting on all the beauty I’ve seen this year has me rethinking my precious to-do list. I get stuff done, but there’s one big thing missing from my list: noticing the everyday beauty in my life. My recent trip to Iceland really helped me see this. Have you been? It’s incredibly beautiful. I could write a year’s worth of posts about the trip. It was incredible because I was with a friend I’ve known since 7th grade. It was incredible because we felt God’s presence and guidance. It was incredible because of the natural beauty. Goðafoss, a waterfall in Northern Iceland, is now one of my all-time favorite places. I captured this video on my iPhone from the top of the falls. Make sure your volume isn’t muted. You’ll want to hear the power of this waterfall. This is a beautiful place, not far off the beaten path and its power and beauty are on display all day, every day for those who take the time to notice it. 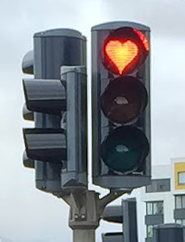 Actually, Goðafoss is not far from Akureyri where the stop lights are shaped like hearts. The people of Akureyri want to emphasize what really matters. Me too. I want to emphasize what really matters. At night when I’m brushing my teeth, I want to focus on the meaning of my day, not the tasks of my day. As I traveled I expected to see amazing things and so I did. But even when I’m not traveling, my days are probably full of beautiful moments I fail to notice. I want to be more aware of the natural beauty around me and the beautiful moments in each day. I think this prayer will give us an increased awareness of the beauty in the everyday, ordinary moments. I think if we expect to see beauty, we will. I think if we ask God to show it to us, He will. What do you think? Are you up to the task of focusing on meaning instead of tasks? Do you want to see more beauty in your life? 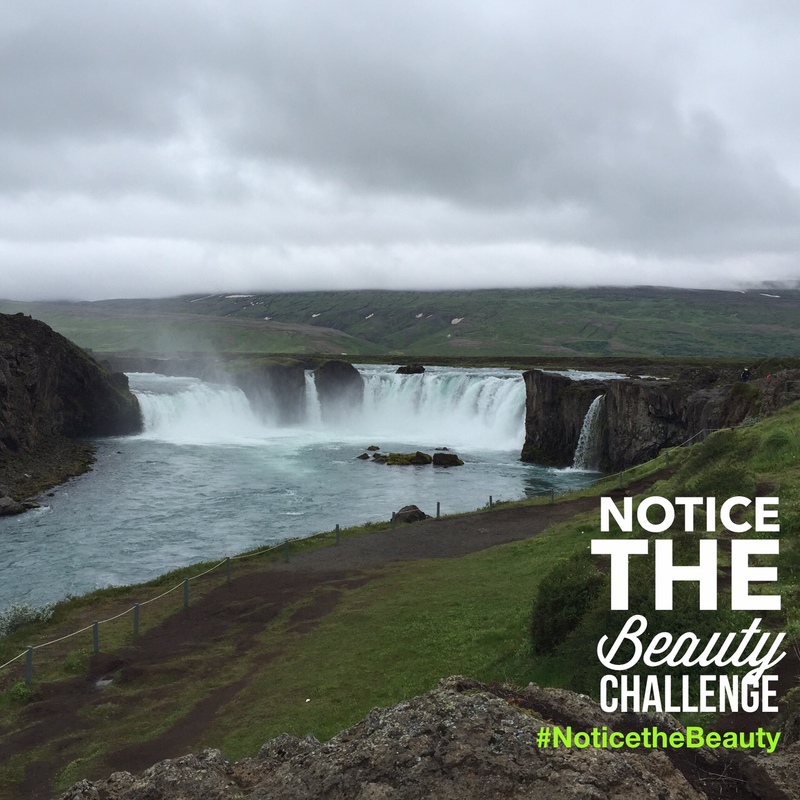 Have you taken steps to increase your awareness of the beauty around you? Will you take this prayer challenge with me? Tell me about it in the comments, on Facebook, Twitter, or via e-mail.